Rodeo fans have even more to love about RFD-TV's THE AMERICAN as executives from RFD-TV, the PRCA and the Dallas Cowboys gathered together today in AT&T Stadium to reveal several changes to the event. The American will become a two-day event in 2019, making it the richest weekend in western sports at AT&T Stadium. The event will be held on March 2-3, 2019 with final qualification rounds on Saturday March 2, 2019 and the finals round on Sunday, March 3, 2019. Also new for 2019 is the addition of two rodeo events – Break-Away Roping and #10 Team Roping. For the first time, the rodeo will be sanctioned by the Professional Rodeo Cowboys Association, and 2019 will see an additional $355,000 in prize money. AT&T Stadium and RFD-TV have also agreed to a five-year deal to host RFD-TV’s The American Rodeo. 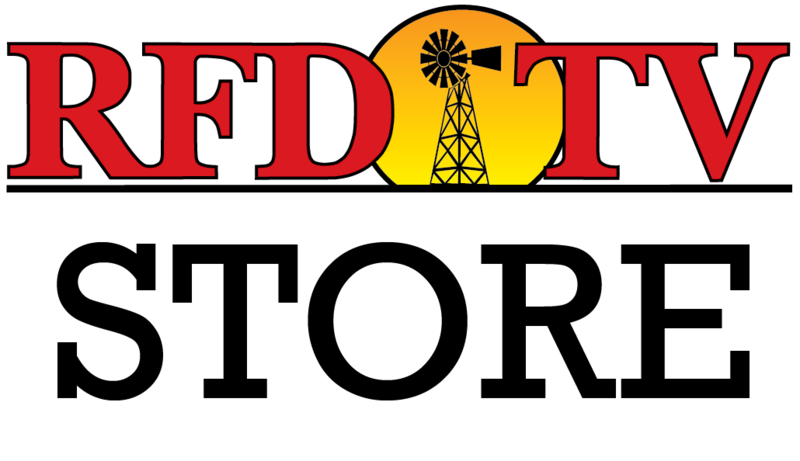 “We are proud to continue and extend our partnership with Patrick Gottsch and RFD-TV as the hosts of RFD-TV’s the American Rodeo. There is no better venue to experience this ground-breaking event than AT&T Stadium”, said Stephen Jones, Chief Operating Officer of the Dallas Cowboys. RFD-TVs The American will be sanctioned by the Professional Rodeo Cowboys Association (PRCA) in 2019. The PRCA is recognized as the unsurpassed leader in sanctioning the sport of professional rodeo and hosts the Wrangler National Finals Rodeo (NFR) – the ultimate championship for the cowboy. Points earned at The American will count towards NFR qualification. Watch the clip below to hear from RFD-TV Founder and President Patrick Gottsch. "RFD-TV is so proud of what's been accomplished over the past five years with The American," stated Patrick Gottsch, Founder of Rural Media Group, Inc. "I have so much respect for the PRCA and look forward to working together to take The American to even another level. I thank the Dallas Cowboys for their continued support and really appreciate the opportunity for a full weekend to now take The American to its full potential with this new 5-year agreement". RFD-TV has announced the addition of Break-Away Roping to the rodeo’s list of events for 2019. The addition of Break-Away Roping provides another way to impact the growth of Western Sports by adding another thousand qualifiers with the chance to compete at AT&T Stadium. Watch the clip below about these new events. The World Series of Team Roping will bring a #10 handicapped Championship Team Roping event to the American with a minimum guaranteed $100,000 in prize money. The #10 Team roping will be the culmination of several qualifier events with the finals being held at AT&T Stadium on March 2, 2019. RFD-TV continues to strengthen its commitment to western sports and rodeo competitors with a substantial increase in prize money for the winners of the American for 2019. The American will now pay prize money for all four places. The long round conducted on Saturday, March 3, 2019 will pay $50,000. Listed below are the new payouts for each event in the American Finals. RFD-TV’s The American will continue to work with Better Barrel Races and Ultimate Calf Roping for The American. Watch the clip below to hear more about the new format and the payout information for 2019. Since its debut in 2014, THE AMERICAN has paid out to rodeo contestants more than $15,000,000 at the qualifiers, Semi-Finals and Finals. Each year the top rodeo athletes in the world in each of the seven rodeo events are invited to compete at the home of the Dallas Cowboys. With this unique “open” format, anyone can qualify for this prestigious event through a series of qualifiers which are currently underway around the U.S. Event dates and results and can be found at AmericanRodeo.com.